After my arrival at Los Angeles Airport (LAX), an Emirates First Class chauffeur drove me to SIXTY Beverly Hills which I had booked using the HotelTonight app. There wasn’t much time to rest, as I soon got a message from my fellow American travel bloggers who were ready to meet-up. Omar, Tahsir and Amol shared some of their newest tricks and latest adventures while we were strolling along Santa Monica Beach. The highlight of the evening was burgers at the world famous In-N-Out near the LAX runway, a plane spotter’s heaven! For my flights from Los Angeles to Guam, I used a trick of the LifeMiles frequent flyer program. For just 25K miles, it was possible to fly United Business Class from Los Angels (LAX) to Guam (GUM) via Tokyo (NRT). The reason behind this was GUM being an American airport triggering LifeMiles only to charge the required miles for a US ‘domestic’ flight. With 18K LifeMiles in my account, which I had bought for $270, I paid $128,37 extra for the remaining 7K miles + a $25 booking fee and $24,93 in taxes & fees making a total of $448,30 (€332,37) for my business class flights from LAX to GUM via NRT. The revenue fare for this trip was €2285! For the first weekend of May, hotel rates were extremely high at Tumon Bay as Koreans and Japanese, Guam’s main visitors, had a long weekend. For my first night, I booked a Premier Garden King room at Hilton Guam Resort at $177. Thanks to my Hilton HHonors Gold status, I could enjoy complimentary breakfast and internet access. For my second night, I used 15K Hyatt Gold Passport points to book a Twin Room at Hyatt Regency Guam as the revenue rate was $430 (excl. taxes!) And for my third night, I bought 10K SPG points at $297 (15% off promo) to book The Westin Resort Guam instead of paying $395 revenue rate. Yup, that was a really expensive weekend in Guam! At Hyatt Regency Guam, my room was upgraded to a Regency Club room, which meant I could enjoy complimentary breakfast with a view. To be honest, there wasn’t that much to do at Guam apart from enjoying the beach, so it was just a relaxing weekend before heading to Palau. For my flight from Guam to Palau, I redeemed 12500 United MileagePlus miles +$2.5 instead of paying $461 for a revenue ticket. The Republic of Palau must be one of the most unique island countries I’ve ever visited. Part of Micronesia, it offers incredible diving sites and mind boggling views from the air. The scenic flight with a Cessna from Smile Air Inc. ($180 / 30 min.) was one of the highlights of my trip! The Palau reefs are one of the Seven Underwater Wonders of the World. As there are no chain hotels in Palau, I stayed at the fabulous new Ms. Pinetree’s Hostel / Bed and Breakfast. 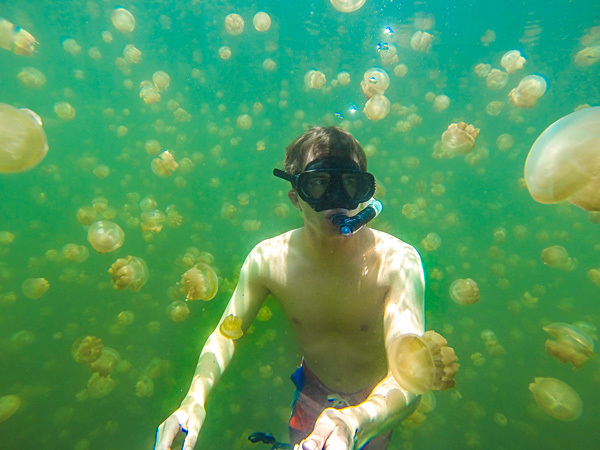 Another highlight of my trip was swimming between thousands of Golden jellyfish. The Palau Jellyfish Lakes are unique in the World. 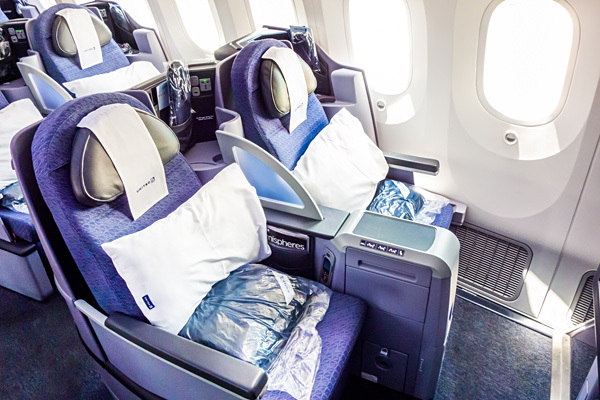 For my return trip from Koror to Brussels, I used 65K LifeMiles to book Business Class with Asiana Airlines and Lufthansa. With 30K LifeMiles in my account which I had bought for €330, $550.54 (€446,83) for the remaining 35K miles at the time of booking and $46.87 in tax, I paid a total of €776,83 for my comfortable return home. Your report has certainly kept me at up last night. Can’t wait to visit the pacific islands. 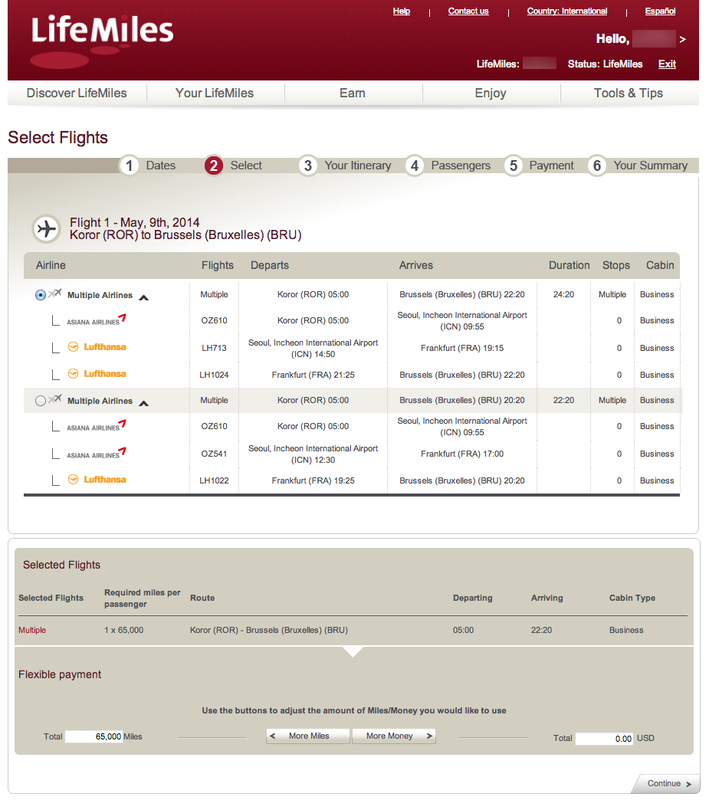 But I am intrigued, have there been changes to Lifemiles that Guam is now categorized in ‘South Asia’? So a flight from LAX to GUM would cost 78k miles on business class according to my search. Ouch. That’s harsh. He did attract the unwanted attention that ruined it for rest of us. Having said that LM is still really useful in many ways.. I’m based in Sydney and I can certainly think of a few ways to maximize the value of LM. Love zone-based programs where you can get really creative with route planning. Kudos for you for scoring the deal before the rules changed! Amazing! I just love your page and instagram! But I was wondering quite a few times, how do you create those flight-maps? I missed u on the Santa Monica Pier by about a week. We will cross paths some day. Loved my morning traveling vicariously through yours. Great Photos of Tumon Bay, Guam as it was my home early 90’s circa. Thanks for your feedback Deena! Hi Bart, just wondering if you enhanced the photos (especially the ones taken by your GoPro Hero (4 Black?) 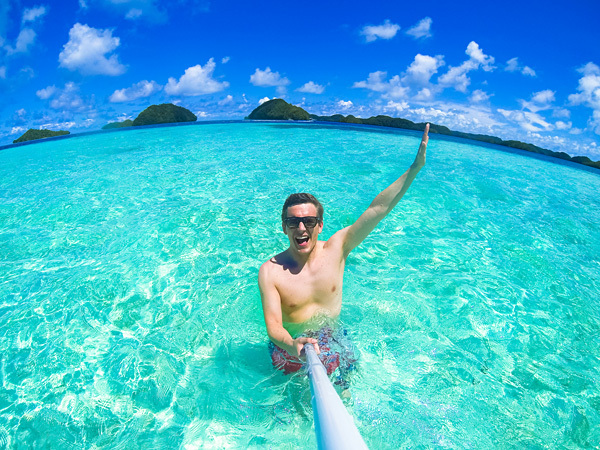 with the selfie stick) in any way, since they do look very good, extremely bright and sharp. 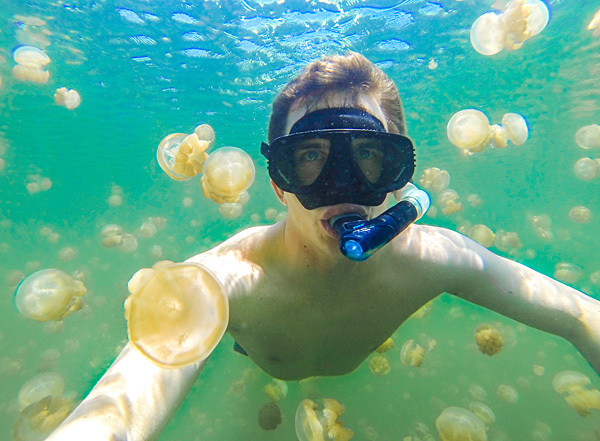 I am planning to travel to Palau, and consider buying a GoPro just to have a similar photo of swimming with the jellyfish :). I’m not that good with Photoshop, and would hate it if GoPro requires a lot of touch-up afterwards. Hi Ming, thank you for your feedback and question. As you might have expected, these pictures didn’t come straight out of my GoPro camera. If you want your pictures to stand out like mine, you’ll need to make a small effort to learn some basic photoshop skills. 🙂 Enjoy your trip to Palau, you’re gonna love it! Who was the idiot that filed the DOT complaint that destroyed the Lifemiles deal and killed it all forever?